Holiday reservations require a 2-night minimum stay to better serve our clients. We require notification of a dog boarding reservation cancellation at 48 hours prior to the first day boarding stay. An amount equal to one night’s stay will be charged if notification is not received within this timeframe . 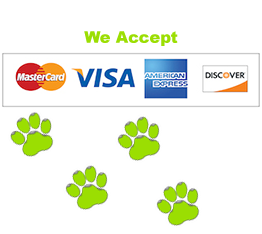 We may require a credit card to be on file with us at the time a reservation is made to uphold this policy.